We’ve crunched our Real MPG data to find out which petrol-powered cars fall furthest short of their official fuel economy figures. According to your submissions, these are the cars that disappoint you the most when it comes to real world economy. We have only featured the worst performer in any model range, to avoid swamping the list with half a dozen variants of the same car. For more details on a specific model, click the link at the bottom of the gallery page to visit its Real MPG entry. We have also omitted hybrids and plug-ins from this list. 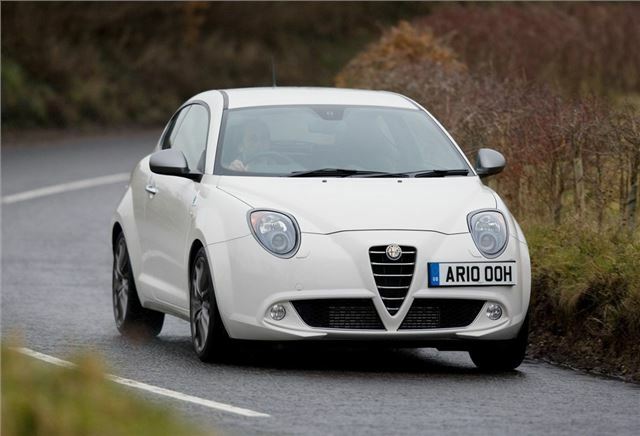 First seen in the Fiat 500, the two-cylinder TwinAir petrol is great fun, providing brisk performance and a characterful sound. But in the hands of Real MPG drivers it averages just 40.1mpg – a long way short of the official figure of 67.3mpg. That means its Real MPG ratio is 59.7 per cent – the worst in this list. Only a fool would buy a car based on the 'official' mpg figures. As Honest John has pointed out many times, these are achieved under permitted artificial conditions over predetermined driving cycles. It is the government(s) that need to change the rules for testing. It's ironic that the EcoBoost and TwinAir engines feature so strongly here - or is it? These are small engines that CAN deliver surprising performance through the use of turbochargers - if you need or want them to. But you can't expect them to be super-economical and deliver high performance at the same time. They CAN also deliver excellent economy if driven with some restraint, only using the performance potential when you have to. Comments here and in the corresponding diesel thread that drivers are "not driving properly to get economy" are nonsense. The real world mpg database is based on tens of thousands of drivers - the results generally represent average drivers driving "averagely". Honest John will remember days gone by when mpg was not such a big marketing deal. There were regular competitions and rallies based on achieving the lowest possible fuel consumption with standard cars. Amazing figures were achieved on very old fashioned motors using a single tankful or one gallon, just with impracticable driving methods. Any car today will do likewise if you do the same. The point about real world mpg results is to highlight the varying discrepancies between official test results and ordinary motoring. My subjective impression is that the worst performers tend to be small diesels in small cars, eco models and some tiny turbocharged engines. When I got my current car, VTEC 1.8, 2012 Civic at 20,000 miles, the best I could get out of it was 32mpg. The engine felt stifled, it was reluctant to accelerate and I complained long and hard to the dealer and this web site. After a year of hard acceleration and high speed motorway driving, many tanks of Shell V Power and a service, the car now does 42mpg. This is not far off the 'official' 44mpg and I don't hang around if speed limits and road conditions allow. My last car, the trusty 2.2 iCDTi diesel, was only averaging around 4mpg more doing the same trips. I think that modern driving conditions and fuels are not letting us run our cars in properly as well as allowing the engines get choked up with soot. I've obviously freed the engine of this, made all the parts rub nicely together and now it is a different vehicle altogether. It's eager to get to the redline if I let it, that's 6000-7000rpm, but I mainly take it to around 4000 on motorways. Which in most diesel vehicles would be screaming the nuts off their engines. I'm really looking forward to driving the new 1.5 VTEC turbo – low down grunt with a love of revs. Interestingly, I've found my current car runs better on BP regular fuel whereas the Shell I used to use made flat spots around 4500rpm.